This adorable felt transportation set is perfect for your little one! These are great for independent, quiet play or group activities. Each piece is made from felt and will stick to felt or flannel and measures about 2.5 inches tall. 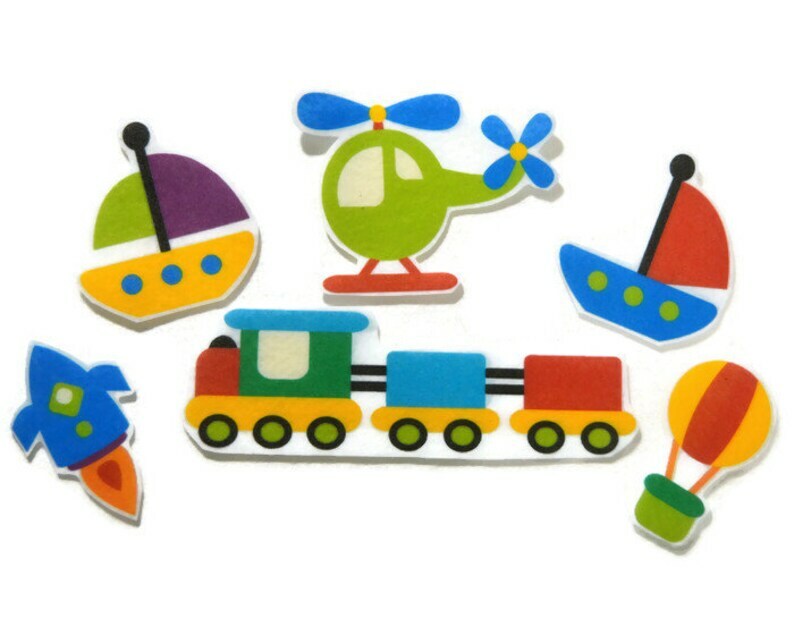 This set include a train, 2 sail boats, rocket, helicopter, and hot air balloon. All items arrived quickly and were PERFECT for my little grandaughter's felt board I made for her. I saved a little money by cutting them out myself and appreciate that option. BusyKids is now my go-to shop for all things felt board! Thanks!